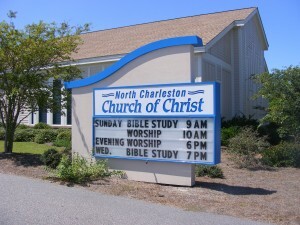 How Can Signs Help Your Church? 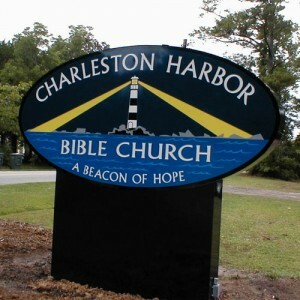 – Signs by Roberts & Sons, Inc.
How Can Signs Help Your Church? Comments Off on How Can Signs Help Your Church? Your church has 2 important reasons to have signs: members and visitors. Let’s take a look at how signs can help your church. You can reach out to people who pass by. If you have your church by a street (and who doesn’t? ), you can thousands of views for your sign each year. In fact, depending on which street you’re on, you can get over a million views each year. Having a clean, well-made sign makes a good impression for all of those people passing by. Visitors can find their way around once they come through the door when you have signs to help. Yes, your members should also help, but visitors should be able to navigate the halls without assistance. Signs for the nursery, children’s church, youth group, etc. — they are the bare minimum of what you should have marked. Signs can also be used to inform members and visitors alike about upcoming events, ongoing events (like a Bible Study or a fundraiser), or an inspirational message. Signs are a cost-effective way to bring in new visitors and to serve your members. Contact Signs by Roberts & Sons today to learn more about your signage options. (843) 571-3500.